A variety of acids are commonly used as part of a customer’s skincare routine. Science has demonstrated that alpha and beta-hydroxy acids, for example, confer a number of benefits to the skin when used regularly and appropriately. 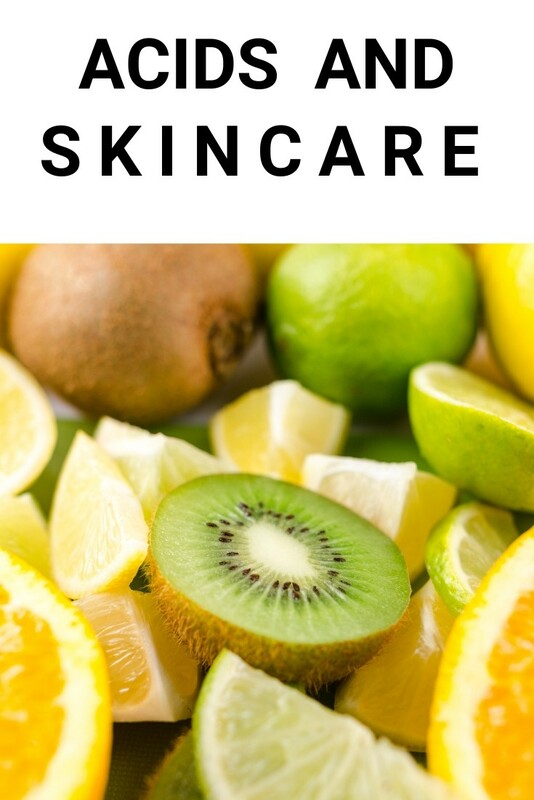 Here, I will dive into what makes these acids so beneficial and why it’s important to tailor products containing acids to your skin’s particular needs. Alpha Hydroxy acids primarily work by loosening the “glue” that holds cells together, which enhances exfoliation. They can also help thicken underlying layers of skin, which promotes smoothness. Some are more penetrating than others, impacting their effectiveness. For example, glycolic acid molecules are very small; its enhanced penetrating ability means that it is highly effective at exfoliating and hydrating. However, susceptible individuals my have a reaction to it. They are also found at varying concentrations of anywhere from 2-15% or more. The best products will tell you what concentrations they are using. They are used in over-the-counter and commercial peels, which can also cause irritation. If in doubt about the strength of a product, always consult with a dermatologist, especially if you have sensitive or problem skin. In addition, AHAs like citric acid can be unstable when exposed to the air, so which type is used and how the product is formulated is key to its effectiveness. Beta Hydroxy Acids are oil-soluble organic compounds with two functional groups separated by two carbon atoms. The most well-known is salicylic acid, derived from white willow bark. These acids penetrate well and are more suited to individuals with problem skin due to their anti-inflammatory properties. They can also be found in varying concentrations, so always check labels before using. Both Alpha Hydroxy and Beta Hydroxy acids can increase the skin’s sensitivity to light, so it’s always a good idea to use a sunscreen during the day or to apply them only at night. And always discontinue use if redness, itching and other forms of irritation develop, as you may need to adjust the concentration or you may be developing an allergic reaction to an ingredient. These organic acids can be very effective skincare tools, providing many benefits that maintain healthy skin and enhance appearance. What you use is dependent on your skincare goals and your skin type. Feel free to experiment with different products and formulations, or consult a dermatologist for a custom-tailored regimen that will leave your skin healthy and glowing.